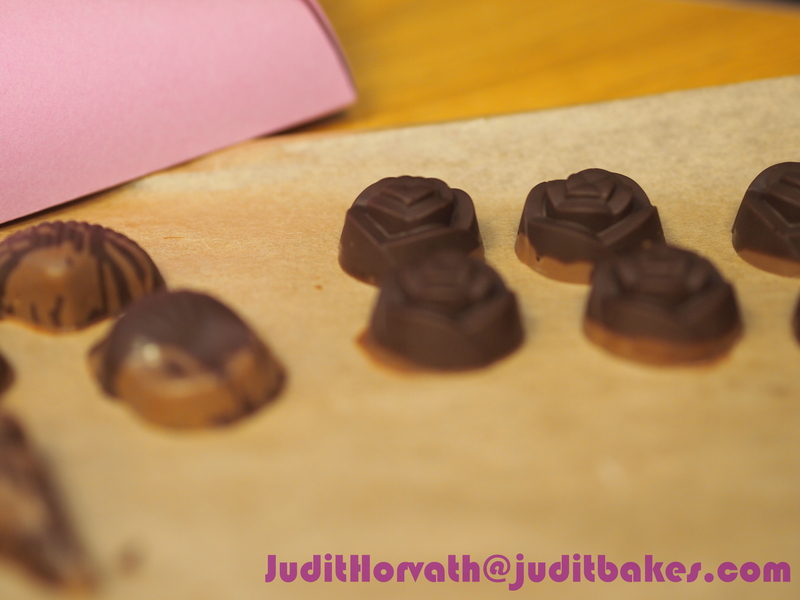 Summer Memory: Foraged Lavender Chocolate Bonbons | When Judit bakes...bread and better.. The qualities (fragrance, oil content) of lavender is at its best before the flowers reach full bloom in the summer. Collect and cut them for drying. Snip individual flower stalks right at the point where the leaves and stalk meet. Lay the stalks out in bunches of four and gather together at the cut stem end. Tie the bunch tightly at the ends of the stems by securing a length of string around and hang the lavender flower bundles upside down by the string in a warm, dry area away from direct sunlight. The flowers will be dry and ready for use in one to three weeks, depending on the humidity of the hanging location. Dried lavender flowers can be used immediately or stored as it retains its scent for up to one year. Mix the lavender oil and glucose together in a small saucepan. Heat until warm, on a medium temperature setting. Reduce the heat to the lowest setting and add the chocolate. Mix until smooth and use while soft. 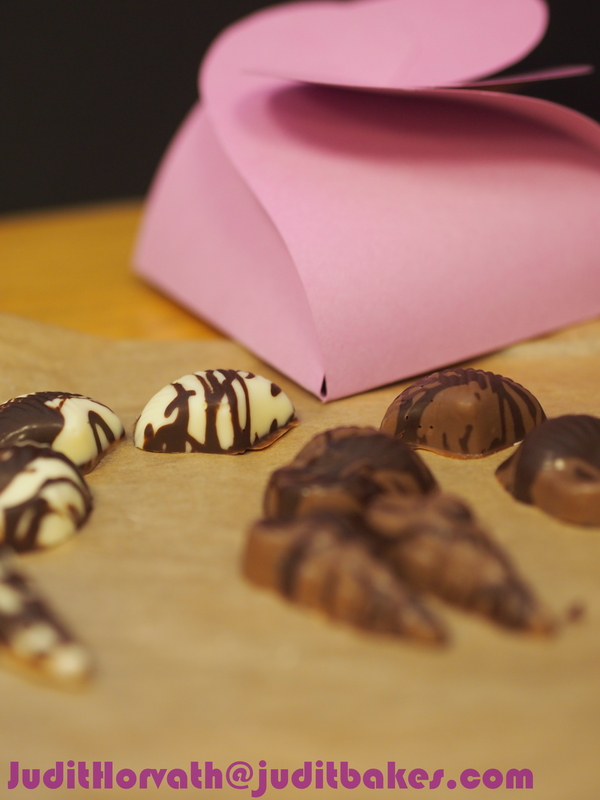 Create lines of different chocolate (milk, white, dark) on the bottom of the mould with a spoon and rest it in the fridge. 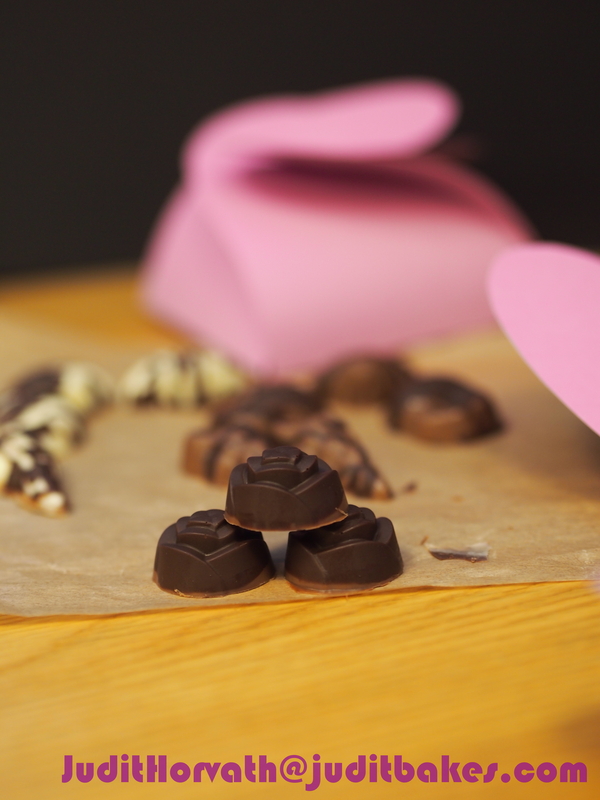 When set, place a spoonful of the tempered chocolate into the mould and drag it up the sides very carefully. Place in the fridge and leave to set. Spoon or pipe some of the lavender filling into the center of the chocolate mould. 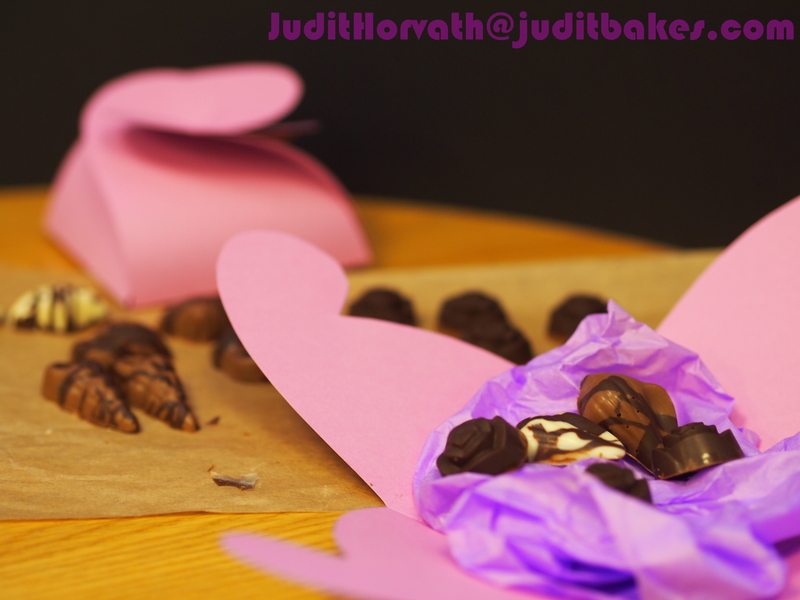 Cover with chocolate and leave to set before turning out. 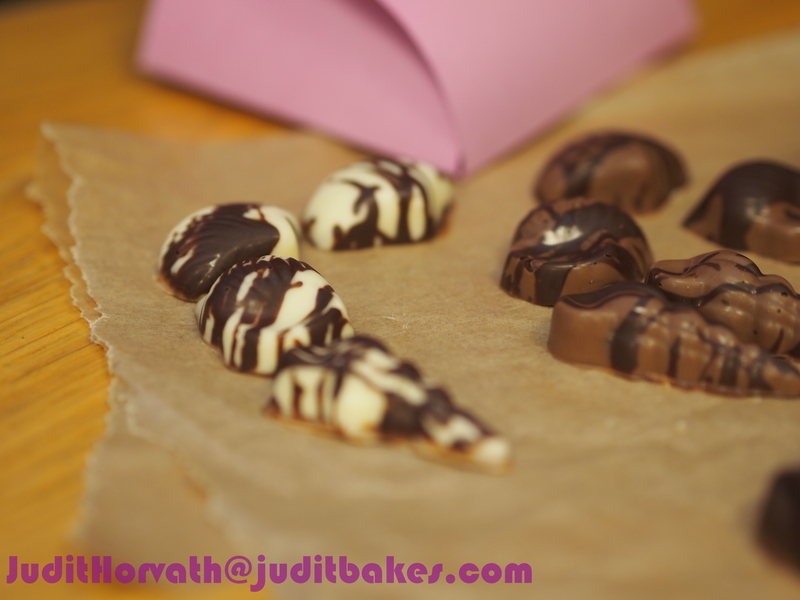 This entry was posted in Decoration of bakes, Foraging, Just Everything and tagged judith viorst, lavender oil, liquid glucose, tempered chocolate. Bookmark the permalink.